Walk with me through the bare woods as winter retreats into the earth. As the frost seeps away into the deep earth, the ground beneath our feet is warming, and stirring with new life. Let’s linger a while in this space of soft change. Birds freshly free of their winter prisons sing rivers of song, guiding us onwards into the trees. If we drop down close to the earth we will tumble into a forest of tiny flowers lit from within by the growing sun. Tiny lanterns of sunlight, sway all around us, in a sea of white and green. 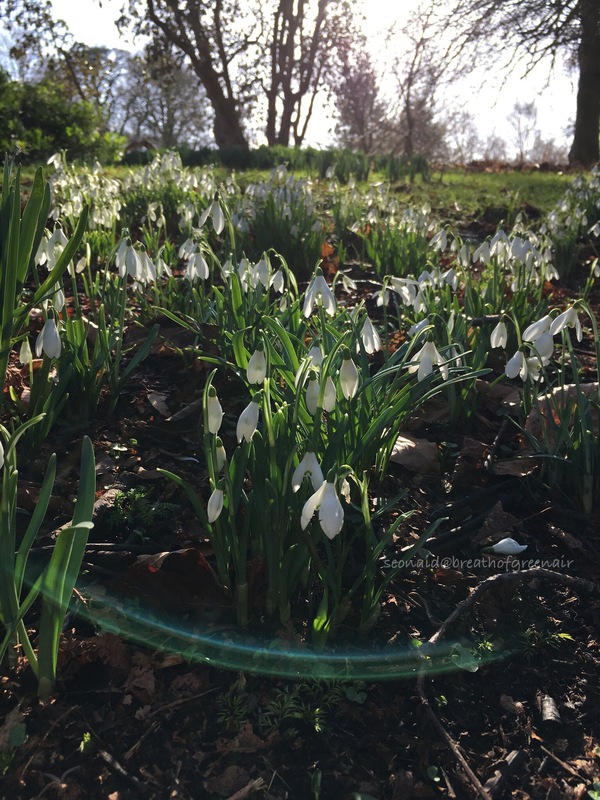 A subtle sweetness drifts in the soft breeze as the snowdrops are drawn sunwards in a wave of pure joy. Delighted to see the light once more after a winter held in the dark earth, we can almost see them opening with yearning before our eyes. As we lie here on the forest floor we too become woven into the greening cloak of Bride. Goddess of the Scottish spring, she softens winters hold, and fills the land with beauty and hope for the year ahead. These flowers of hers flow like rivers of milk between the roots of ancient trees, bringing colour and movement back to the old cold world beneath us.Lets rest a while here, in the soft flow of spring as she awakens around us and within. Snowdrops are named Galanthus in Latin, meaning milk flower, and they spring from the bare winter earth as heralds of spring. Known in Scotland as Brides flowers, because of the link between them and the Scottish Goddess of spring. This entry was posted in Celtic, mythology, nature photo and tagged bride, druid, flowers, magic, nature, photography, Scottish Goddess, snowdrops, spring, woodland. Bookmark the permalink. the glory of spring finally arriving! Absolutely gorgeous. I like that you tell a bit of a story about these lovely little flowers, too. It’s lovely to see that Spring is finally on its way. It’s not been a particularly bad winter but it does feel like it’s dragged on a bit. Snowdrops are always a delight to photograph. Oh my – such pretty shots of your flowers! I’m not sure I’ve seen these before, or at least not captured so beautifully. Winter lover that I am, your post makes me glad that spring is on the way. I´ve never heard of this beautiful flower before, they´re so gorgeous. Great beginnings of Spring, beautiful words and images. They make my heart sing, good to see you Seonaid! 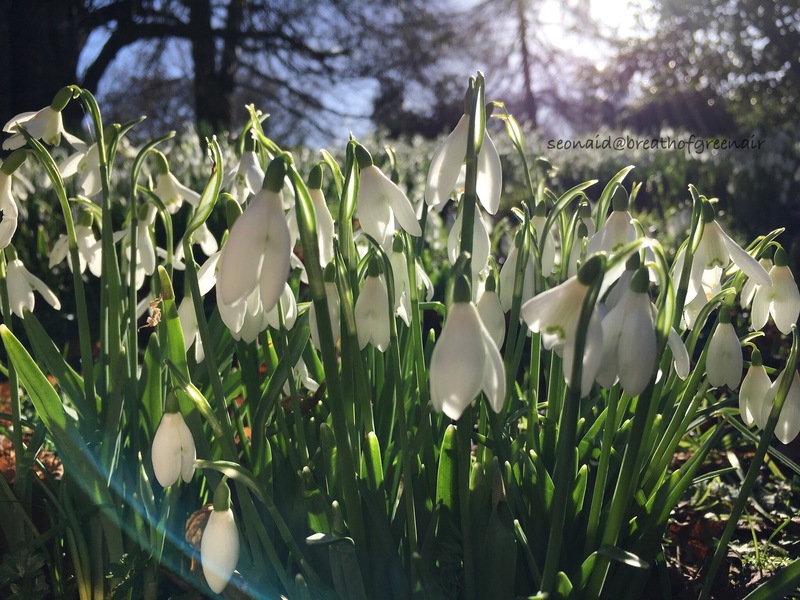 such cheerful captures, love the light comin through the snowdrops, spring has already arrived where you are 🙂 gorgeous!! Yes, the snowdrop filled woods had me smiling too! 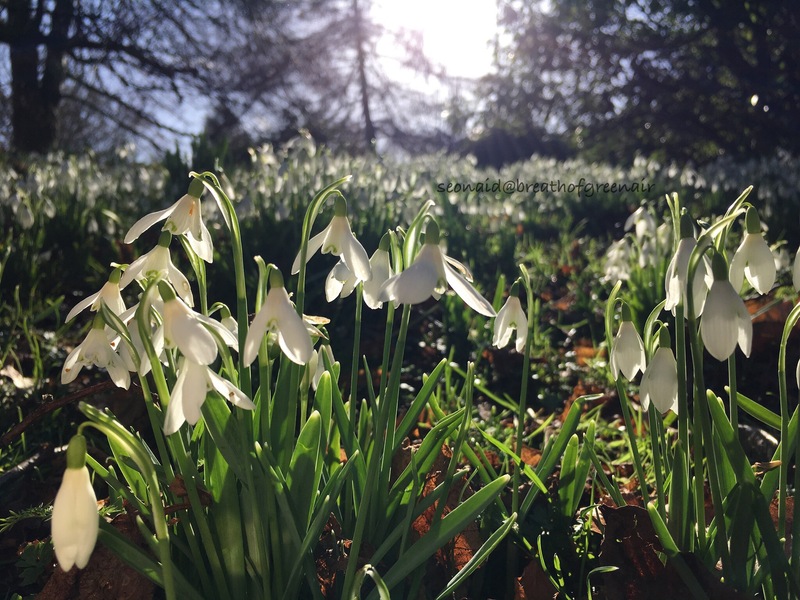 There’s something so joyful about snowdrops, Seonaid! 🙂 🙂 Just last weekend we were at a garden with a lovely woodland walk. Truth be told, it was a bit damp and drizzly but they were still beautiful. How are you? I’m good, if a little ruffled by life turbulence. I’m hoping for a more settled spring!! Yes she’s creeping in gently…here at least! The daffodils are almost ready to brighten us with their gold!! 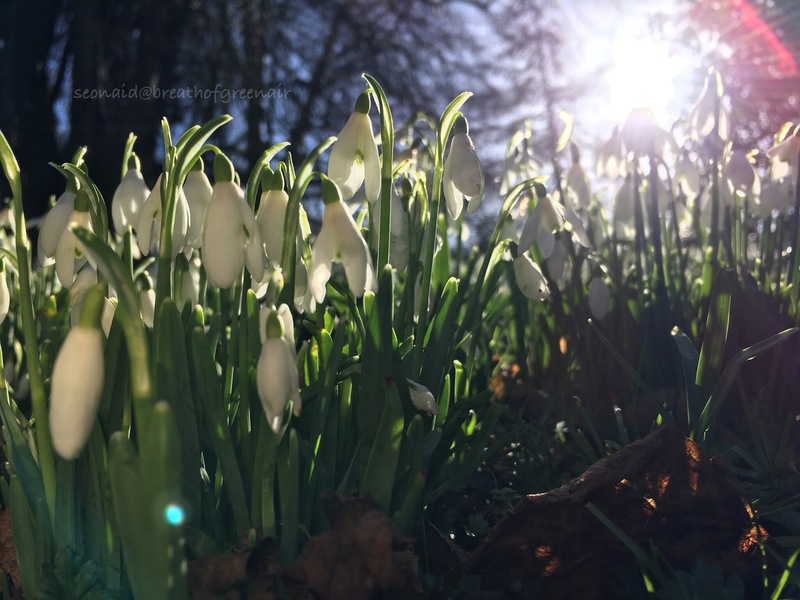 Absolutely magic captures of the Snowdrops, Seonaid! In North Norfolk the Snowdrops are on the return and the Daffs are cheering us up with their bright yellow colour.